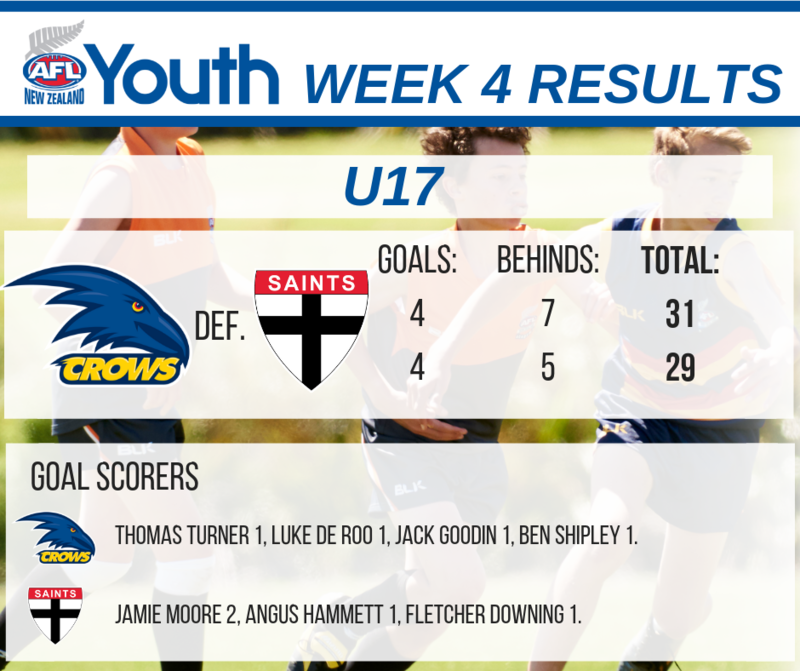 It was Round four of the Youth competition this weekend and the next wave of up and coming AFL New Zealand stars were in action in Auckland, Wellington and Christchurch. Maori TV were on hand in Auckland as they filmed a news story about the growing participation rates of AFL in New Zealand. 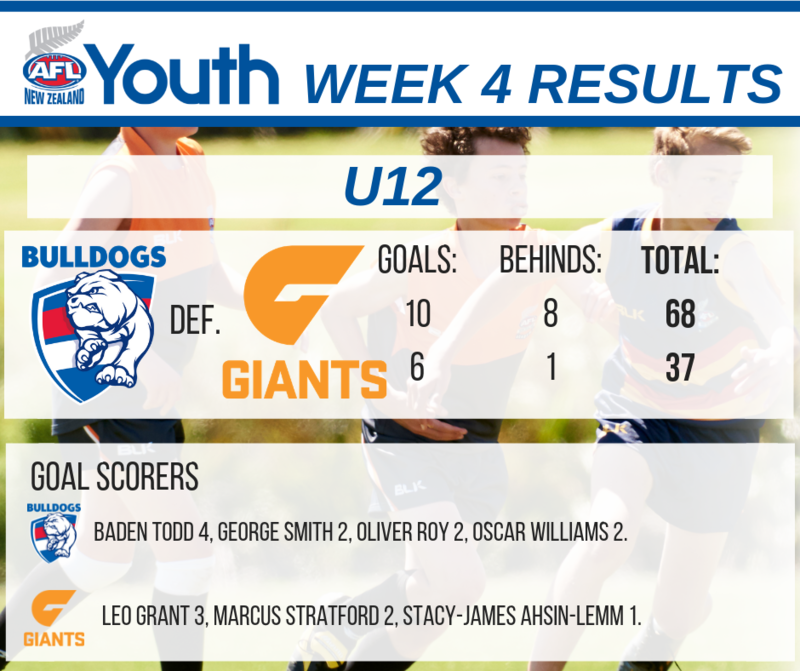 On the field, the Bulldogs won the U12 game as Taytum Storer and Oliver Roy picking up the players of the day. 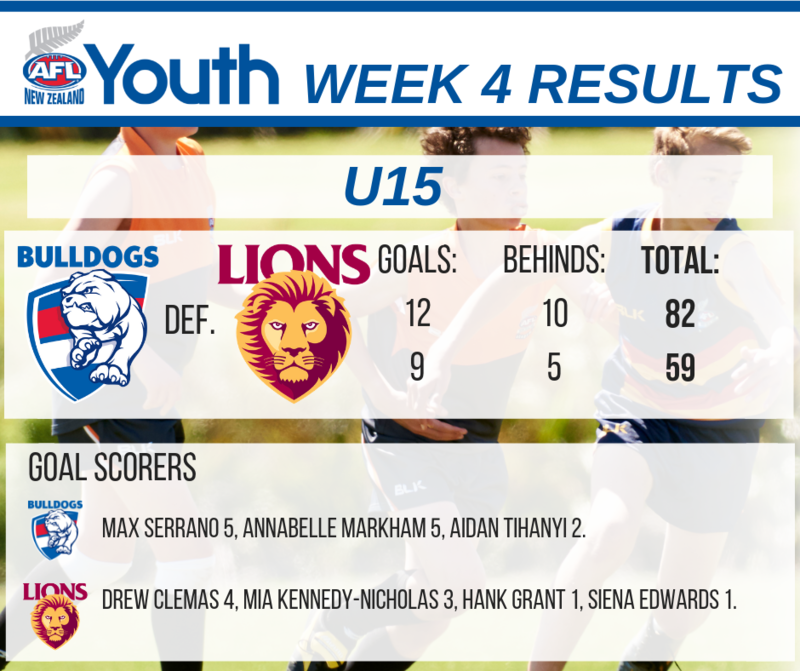 Max Serrano bagged himself another 5 goals while Annabelle Markham matched him in a impressive display as the Bulldogs secured a 5 goal victory. 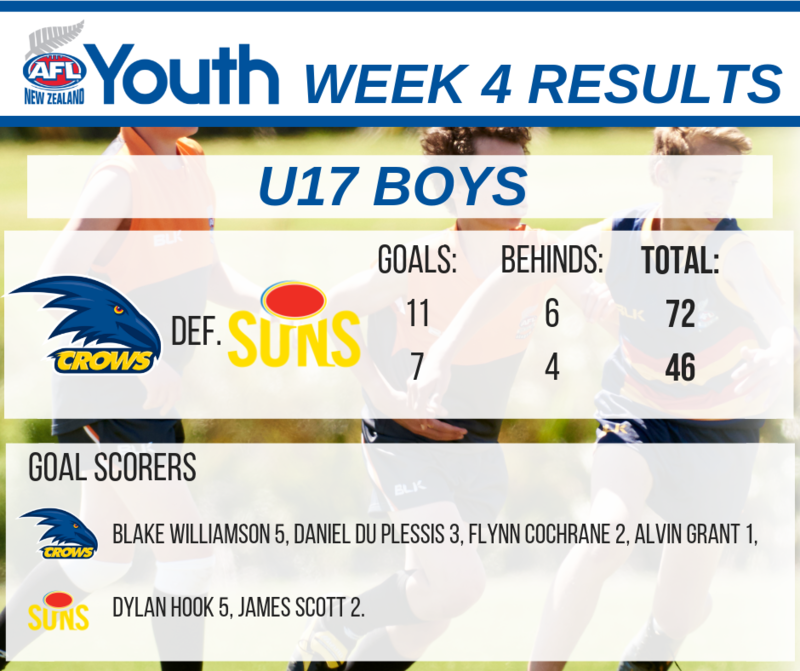 Blake Williamson not only got himself an interview on TV but also kicked 5 goals in the game to lead the Crows to a win in the U17 grade. In the week before they take on the Port Adelaide Indigenous AFL Academy, the majority of the NZ Kahu were in action. 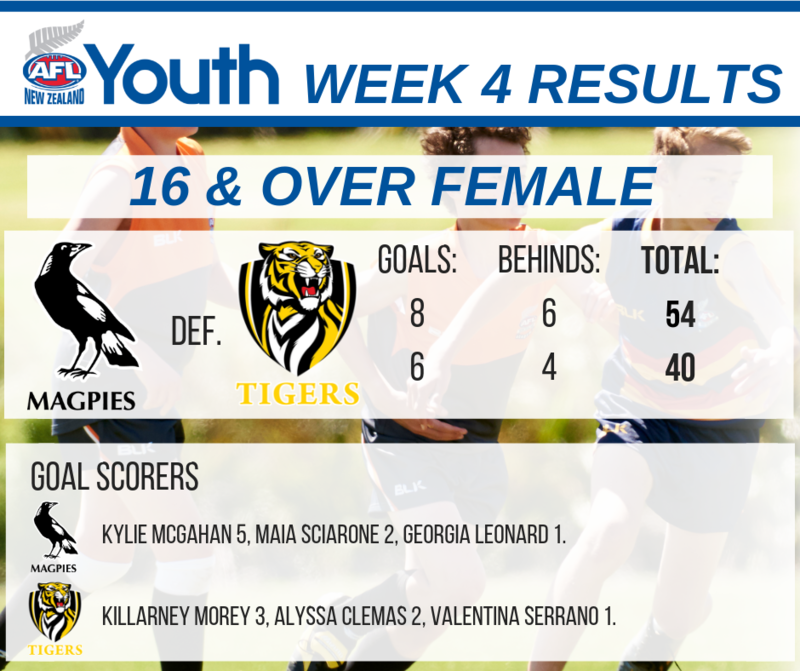 The Magpies turned around a big deficit from last week to record a 14 point victory. Maia Sciarone and Alyssa Clemas collected the best player awards. It was a tight game in Wellington as the Giants snuck home to record a 2 point victory over the Saints. 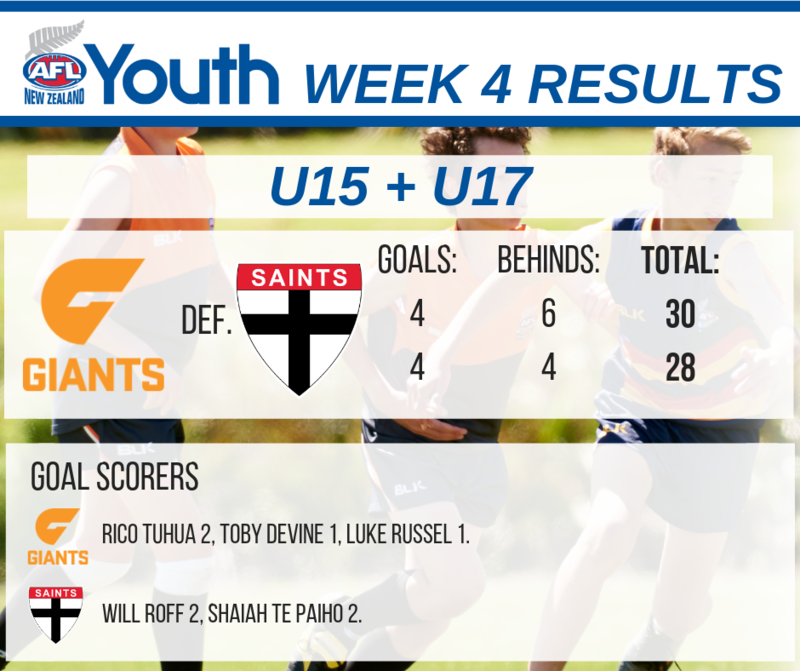 Will Roff and Arthur Egerton were best for the Giants, while Rico Tuhua and Isabelle Goodwin collected the best player medals for the Saints. 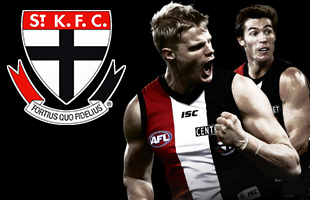 Canterbury provided two thrilling finishes as the Giants and the Crows defeated their respective opponents. 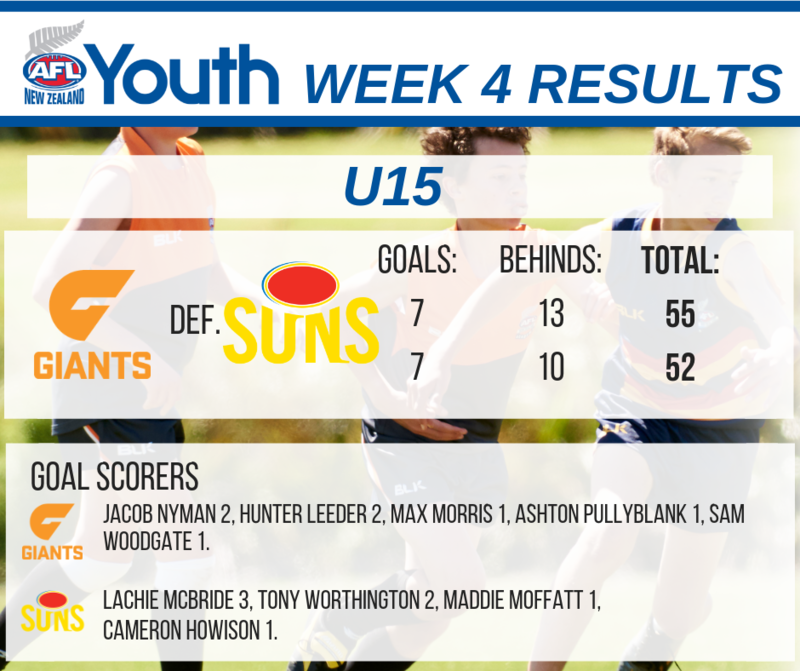 Young Maddison Moffatt kicked a goal for the Suns as was awarded the player of the day for the U15’s. In the U17 grade, Ben Shipley steered his side to a 31-29 victory. Registrations are still open so for further information, head to youth.aflnz.co.nz or click the button below to register.